Report: This was a day when any other outdoor activity (cycling, climbing, walking, skiing) would have been miserable in the extreme. Instead we had an excellent day. 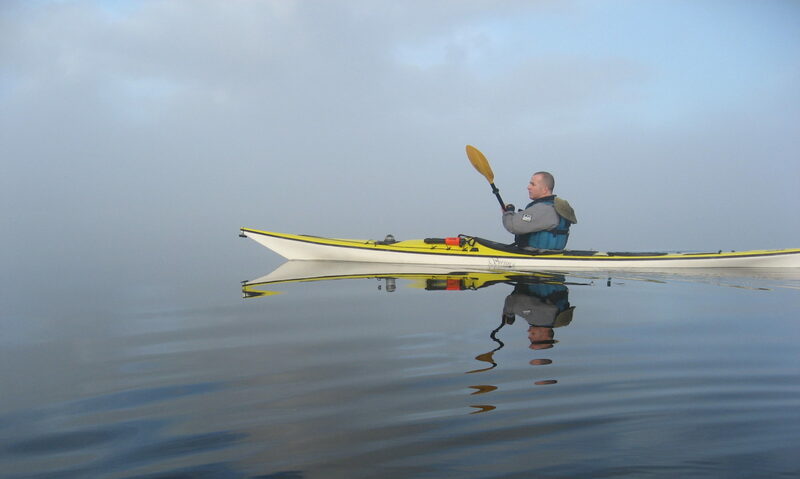 The wind was surprisingly strong (Force 4) blowing directly up the loch giving a tough paddle into it and a bouncy ride across. 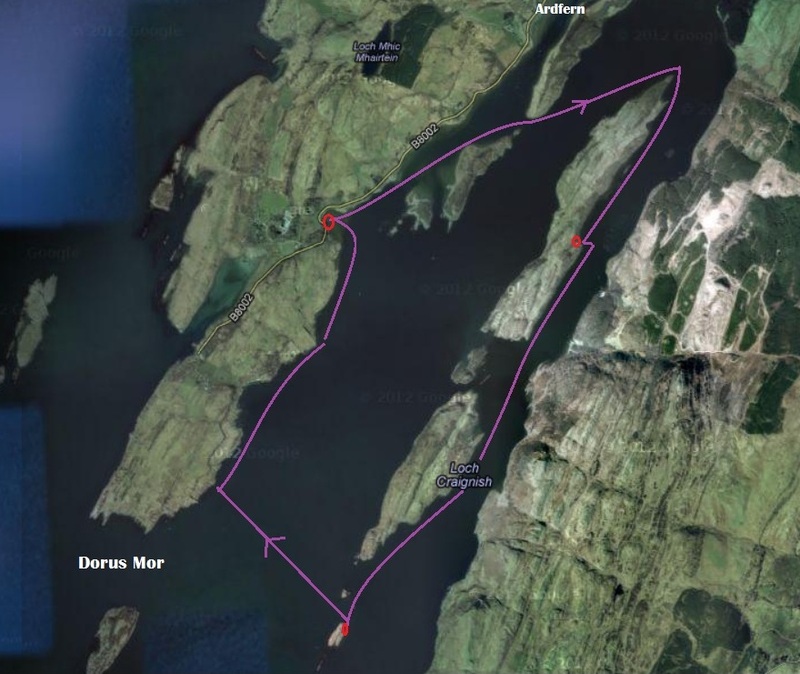 Dorus Mor offered a strong tidal flow (up to 8 knots) that did not slacken until around 4pm and a passage through and back was clearly never a realistic proposition. The decision was confirmed by a sea of white horses even with wind and tide flowing together. Parking was problematic and instead of turning round as soon as we left Ardfern we pushed on to a beach at a ruined township called Kington. 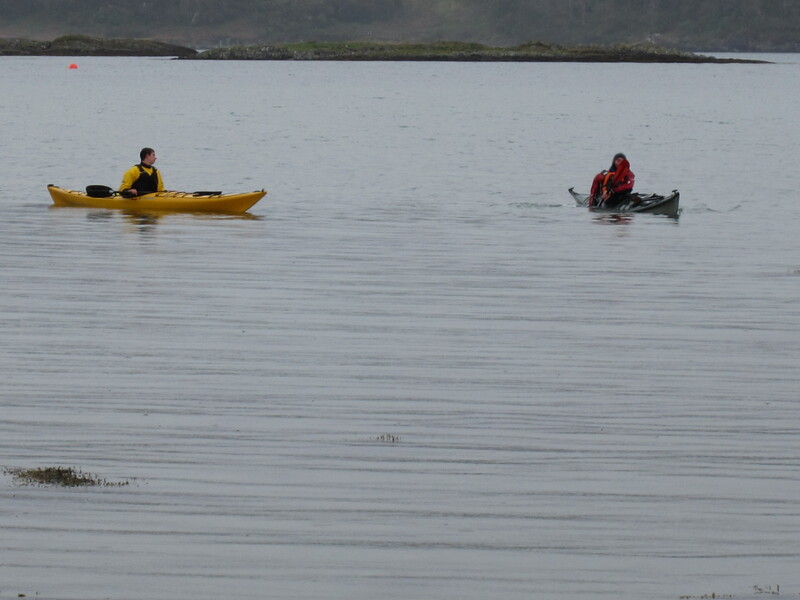 The paddle from here was back up the loch and then round and along the large islands on the east of the loch towards Crinan. 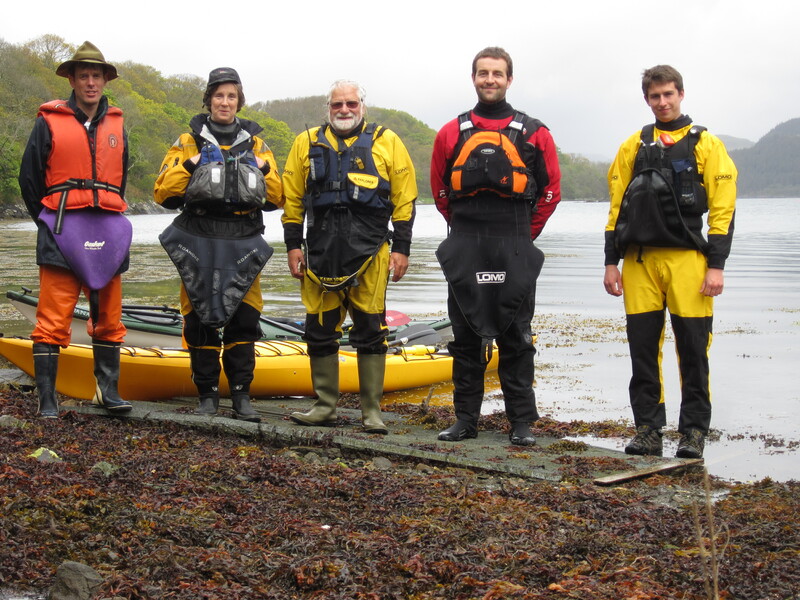 A break on Eilean Righ proved interesting and then on out to a small island at the mouth of the loch (Liath-sgeir Mor) for a late lunch. 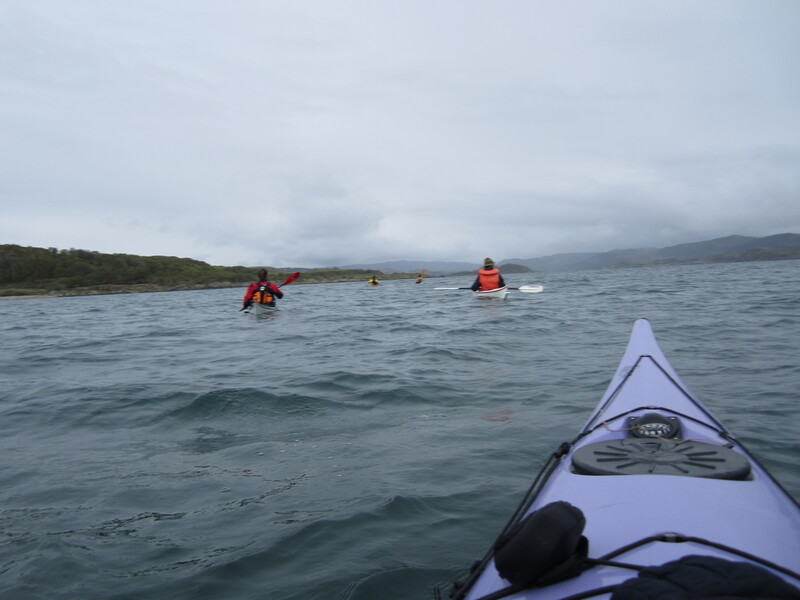 The paddle across the loch proved enjoyable if a little stressful for some and then a fast wind assisted paddle/surf back to the beach.